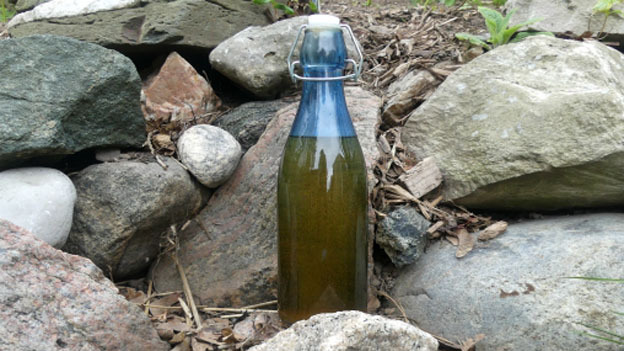 A strong flavoured vinegar that packs a medicinal punch. Combine all the dried herbs and add to the vinegar. Let steep two weeks in direct sunshine. Shake daily. After the two weeks, strain, making sure you get as much vinegar as possible out of the herbs. Rebottle and add the fresh garlic. Let sit for one more week. Remove the garlic. If you plan on storing this mixture for over two months, add ½ cup of vegetable glycerin. Be sure not to use a jar with a metal lid as the vinegar is an acid and it will corrode.